THERE ARE FRIENDS THAT WE NEVER FORGET. Words by Alice Hawthorne. Music- by Sep. Wimmer. Yet we part with a sigh and a tear. The friends of our youth till the last. In an absence that only endears. 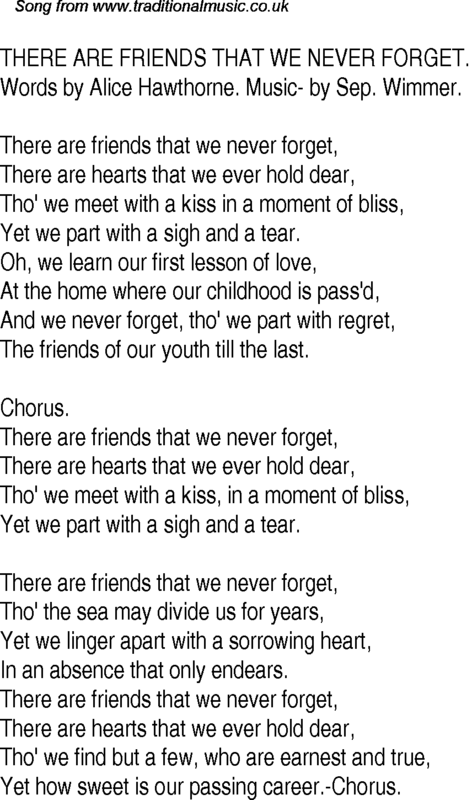 Yet how sweet is our passing career.-Chorus.